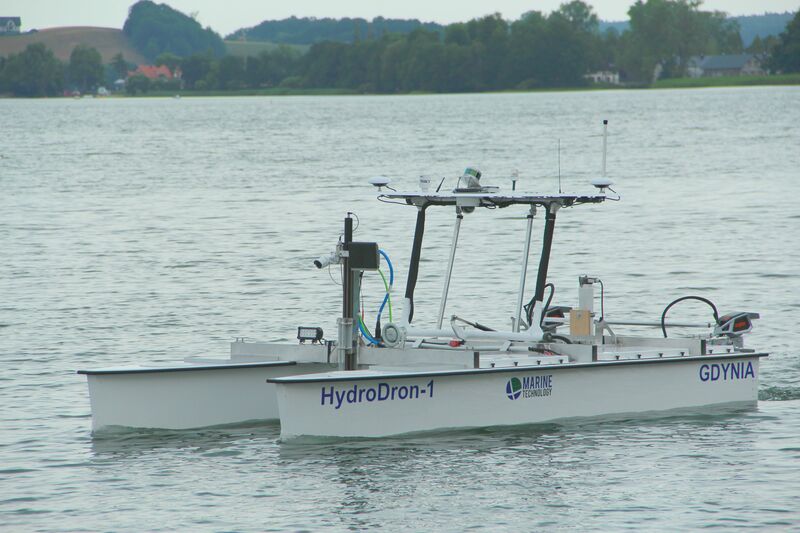 Dynautics Ltd, the leader in intelligent marine electronics for unmanned boats successfully supplied an electronic interface with Torqeedo Cruise 4 electric outboards motors on Marine Technology Ltd. HydroDron- 1 in Poland. Dr. Henry Robinson, CEO of Dynautics commented, ‘Dynautics customers are often looking for a complete navigation solution but, in this case, HydroDron-1 was nearly ready for launch, so we were delighted to be able to supply such a key piece of the technology puzzle’ and he also commented on the long terms relationship with Torqeedo, ‘We have worked with the range of Torqeedo motors over a number of years with the support of Golden Arrow, Torqeedo’s distributor, in the UK. We find the Torqeedo motors are proving reliable and efficient and that’s what we, as Dynautics, and our customers demand as a high priority’.